Building elevator lobbies and foyers offer artistic opportunities to create dramatic and bold spaces that direct visitors to activities happening beyond them. Whether in an office or common corridor setting, the lobby establishes the theme for the entire space. 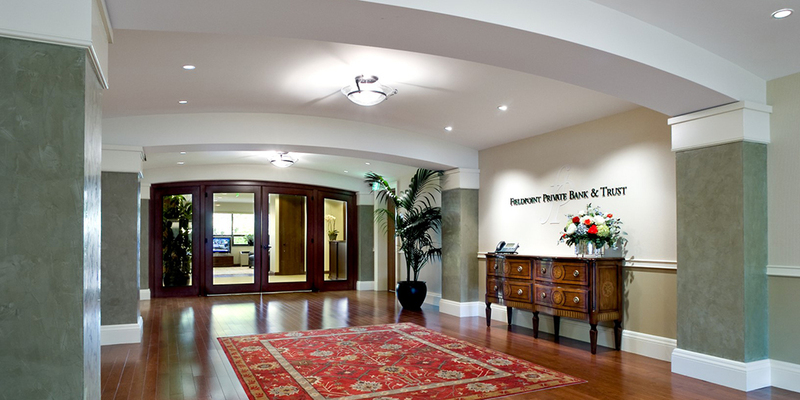 This is achieved by combining multiple paint finishes, colors and pilaster faux finishes within this very warm and welcoming single-tenant elevator lobby.